This is the story of a 20′ sailboat manufactured in Norway in 1956 by the Ejvinds Company. 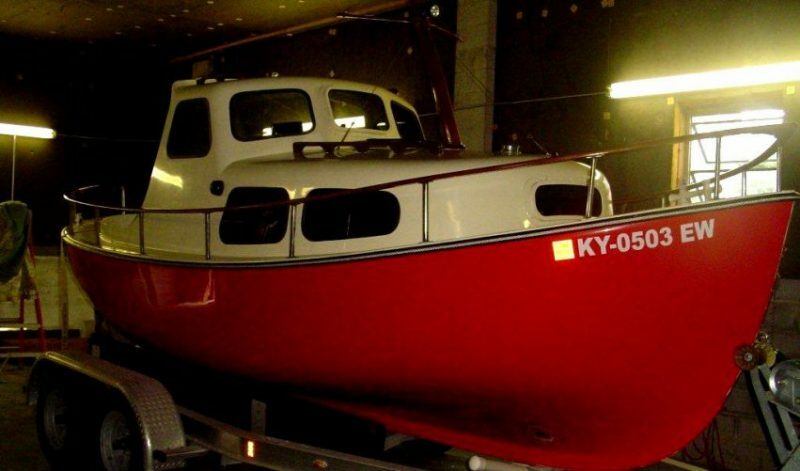 This boat sailed from Iceland to the east coast of Canada, then down to Miami. From Miami, it sailed south to St. Croix and the Virgin Islands. After a few years in St. Croix it was brought to the Florida Keys 1967 and had two or three different owners. I purchased it in the Florida Keys in 2003 and brought it to my home in Murray, Kentucky for restoration. By the time I towed this 3,000 lb. boat to Kentucky, it was in need of a lot of work. The gel coat was almost completely gone and was brush painted with green house paint. All the wood inside had rotted away, the paint was peeling and the prop had fallen off. 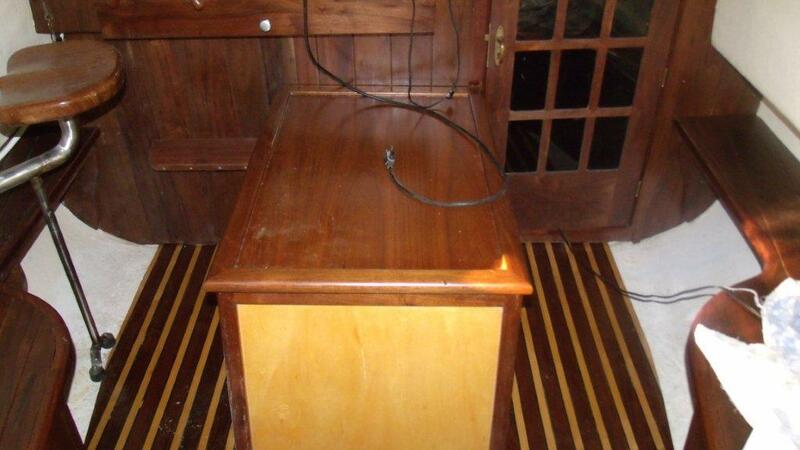 The hull is ½” to ¾” thick and in very good condition. In 2004, I started rebuilding the boat. I sand blasted the hull and cabin, completely replaced the gel coat with West System 105 Resin and 207 Special Clear Hardener. I replaced a ¼” x 2” stainless steel part on the bottom of the keel, repaired the rudder bushing, replaced the stringers in the floor, built new floor boards, benches, and bulk heads, installed new windows and built new rails on the outside. Interior view of the restored 20′ Norwegian sailboat built in 1956. On the inside I used black walnut, and on the outside I used teak. The original instruments and hardware were in good condition and were reinstalled. I outfitted the boat with a new 27 hp diesel Yanmar engine, new shaft, shaft bearings and a new prop. I also finished many small details in 2013. The boat runs perfectly and very smoothly at 2,000 RPMs. The engine turns 3600 RPMs at full throttle. After all the work restoring the boat, I hope to take it back to the Florida Keys before listing it for sale.